Barn conversions are a fantastic option to transform your land and improve the value of your property. E H Reynolds & Son provide barn conversions in for competitive prices, providing unique designs and features to any property. If your barn is no longer in use, barn conversions could be perfect for you. If you have outbuildings on your land, no matter what its previous use is, renovations can always be made to transform the building into extra living area. Whether you are struggling for space or would just like an additional room, barn conversions will give you a large amount of space for any purpose you would like. We offer completely bespoke barn conversions to our clients and can transform any barn into the property you dream of. Even if you do not require major changes, small alterations and repairs are also available to restore the original condition of any features such as roofing, flooring or walling. Insulation is available for barn conversions in , keeping the property warm and suitable for any use. Barn conversions can be used to transform the barn into any type of room and there are many examples you can steal ideas from. Before beginning any project, our team will discuss your design requirements, ensuring we fully understand your design brief and pay great attention to detail, including all features of the design within the final constructed project. Regardless of the design you choose, barn conversions will always meet your expectations for any project in . There are many features that can be made to renovate your barn such as underfloor heating and reroofing with slates. If your barn is currently in a poor condition, barn conversions can completely change the interior and exterior of the property, creating a whole new home if the area is large enough. There are many proposes that an old barn can be used for and our conversions will always create the ideal living space for our clients. Whenever we complete any construction work, you can be assured of a smooth and professional installation or renovation. No matter what work we complete, health and safety guidelines will be met to avoid any possible risk or damage. E H Reynolds & Son have a team with over 35 years of experience in the industry and having been established in 1946, we have covered all construction projects in . As a family run business, we want to help all clients in by offering bespoke barn conversions. Since our establishment, we have always worked in and we aim to continue building our reputation here, becoming the first choice for all clients requiring construction work. Along with many years of experience in our team, we have public liability insurance, risk employers insurance and a waste carriage license. With all construction work you require, we are happy to give advice and information regarding our services. 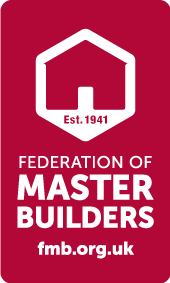 We are also members of the Federation of Master Builders and the NHBC, showing that our team are always dependable and will offer a quality service for barn conversions in and any other construction. If you would like to discuss the services we have available or book our building contractors for barn conversions and any construction work in , do not hesitate to contact our team. We will answer all customer enquiries, whether you have a large or small scale project. Call now on 01326 563611 or 07887 600414 or fill in our contact form to make an enquiry.